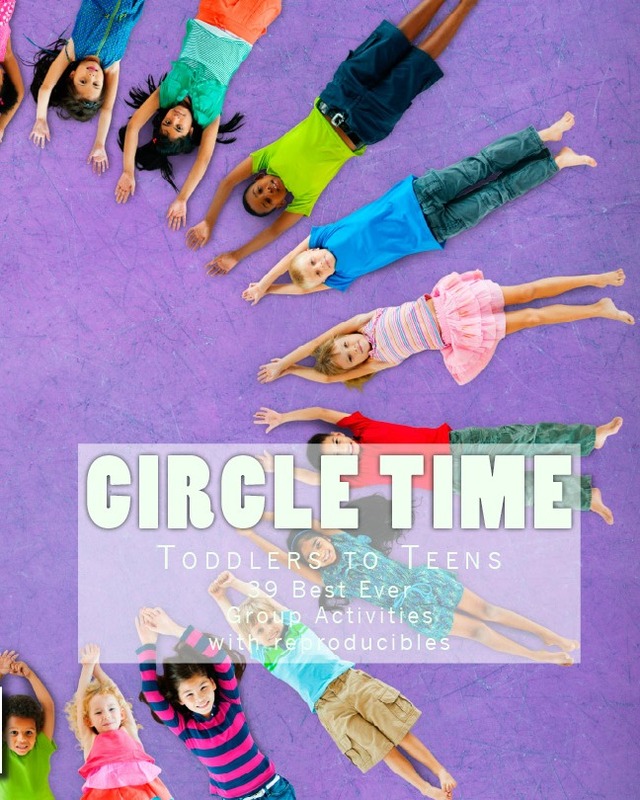 No matter how much we would like to, most parents just aren't able to throw that ultra-expensive birthday party for kids every year, but that doesn’t mean your BIRTHDAY still can't be fun! 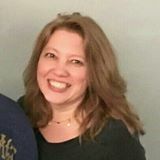 Here is a great, cheap birthday game activity. You can switch up the theme. We went with Gummi Candy Worms , but you can use Gummy Bears too. Enjoy, this worm birthday game for kids! You might also like to Paint with Worms (Spaghetti). *Please be mindful of small children and choking hazards. 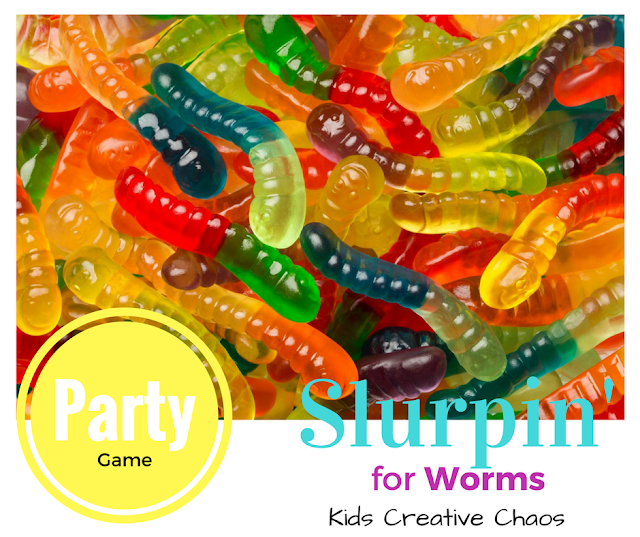 Easy Kid's Game for Birthday Party: Worm Party Game. You can play one at a time or all at once as a race- we have done both. Each player gets a whipped cream-covered plate and an empty plate. Hands are placed behind your back and on "Go," players use only mouths to find items on plate, one at a time, and spit them onto empty plate. The first player to find them all wins! 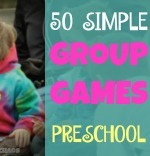 This is a great game for Summer Camp too. Sensory Spaghetti Painting (Feels like worms). Follow us on Instagram for Daily Fun! 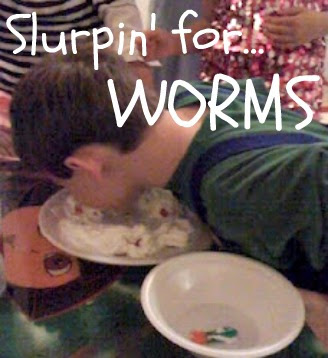 Easy Fun Teen Birthday Party Game: Slurpin' for Worms. We love it! I've even used this with a bunch of grown men at a company Halloween party--THAT was hilarious!